You might have finished reading though the HEXUS review of the EVGA GeForce GTX 1660 XC Ultra Gaming and be wondering about what alternatives are out there. In our review the HEXUS Editor suggested more mainstream versions of this product may be more rational choices, rather than the perhaps overspecified EVGA sample we looked at with an RRP of £229. This pricing level clashed with our conclusion that the GeForce GTX 1660 may be "worth a punt if you find a simple implementation at £200". Asus was first out of the gate to send us some further information about its new GeForce GTX 1660 lineup. In the UK we have been told to expect two graphics cards, one from each of the TUF Gaming and Phoenix stables. However, if you head on over to the EdgeUp Asus blog you will see there are both OC and standard edition TUF/Phoenix cards. Our email indicates that the UK will get the OC editions only. I couldn't find live product pages at the time of writing but you will find that the TUF Gaming and Phoenix designs look identical to their GTX 1660 Ti relatives. In terms of performance, Asus says "they handily beat the outgoing GTX 1060 6GB by 15 per cent, and the GTX 1060 3GB by 30 per cent". Or, if you are running an "aging GTX 970" you could expect a 68 per cent performance boost, according to Asus' testing. 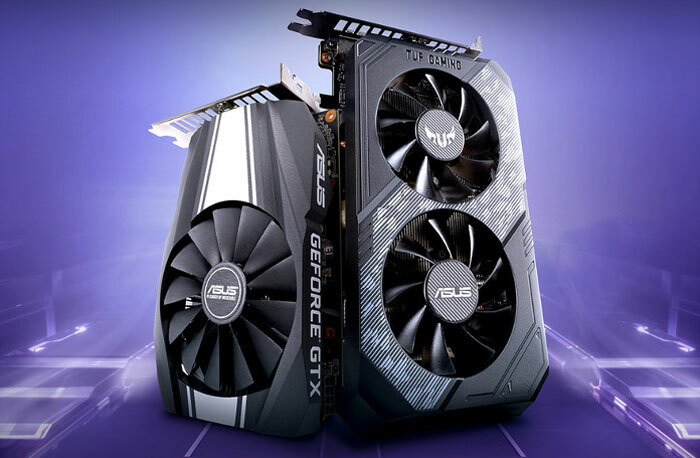 The Asus TUF Gaming and Phoenix GeForce GTX 1660 OC cards detailed above come with RRPs of £244.99 and £199.99 respectively. Asus says they are available now, worldwide. EVGA doesn't only have the GeForce GTX 1660 XC Ultra Gaming card as per our review, it indicates that it has some single fan versions of this GPU available too. At the time of writing the firm's product pages are being updated and I cannot select GTX 1660 product pages but the blurb above the missing specs indicates EVGA will duplicate its GTX 1660 Ti SKUs as GTX 1660 variants; so expect to see cheaper XC and XC Black single fan editions to join the twin fan edition in our review. 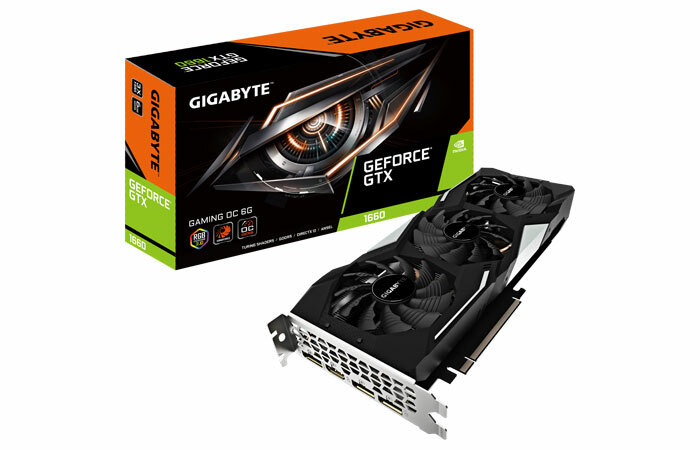 Gigabyte has three new GeForce GTX 1660 graphics cards for you to choose from. Its GeForce GTX 1660 GAMING OC 6G graphics card comes with a triple fan cooler. A slightly lower clocked version of this card is dubbed the GeForce GTX 1660 GAMING 6G. These GAMING cards have three direct touch copper heat pipes, and ultra-durable design, and RGB Led lighting controlled via RGB fusion 2.0 software. Lastly there's a GeForce GTX 1660 OC 6G featuring a dual-fan cooling solution with "stylish back plate". 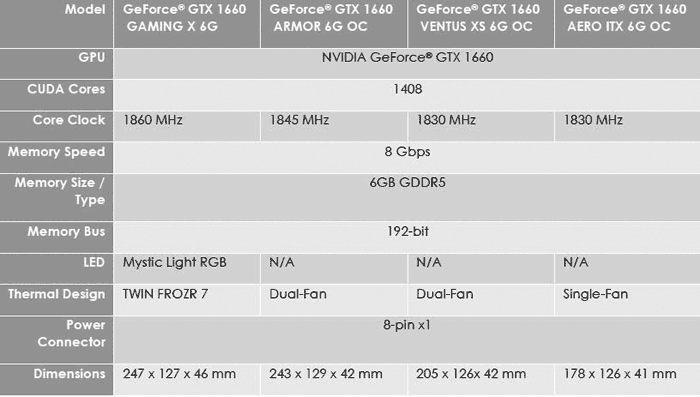 Today MSI launched four new GeForce GTX 1660 based products, the GeForce GTX 1660 Gaming X 6G (twin TORX 3.0 fans, RGB lighting), the GTX 1660 Armour 6G OC (twin TORX 2.0 fans with Zero Frozr tech), the GTX 1660 Ventus XS 6G OC (twin TORX 2.0 fans), and the GTX 1660 Aero ITX 6G OC (single fan 178mm long card, ideal for SFF). These variants seem to match what MSI made available in its GTX 1660 Ti product stack. 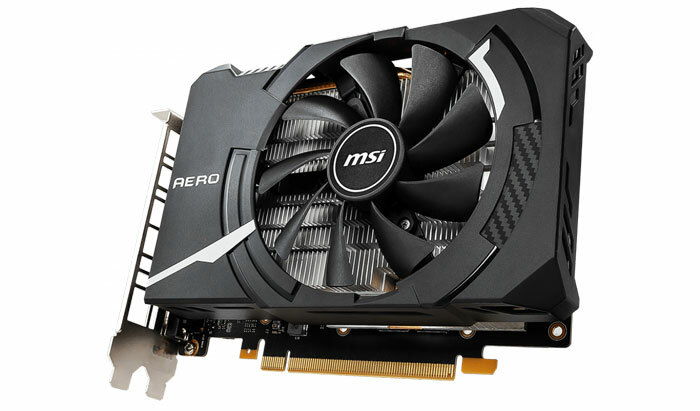 MSI's new GTX 1660 cards are said to be available now, depending upon where you live in the world. These products are all absent from MSI's online listings at the time of writing. 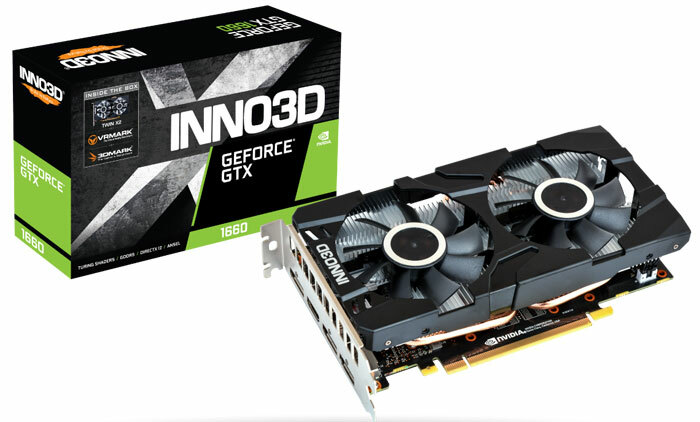 Inno3D has added the Supercharger GTX 1660 Twin X2 to its product roster. This product uses a twin fan cooler with heatpipes and reinforced backplate. The new SuperCharger card's boost clock is 1785MHz. It measures 196mm long, and 113mm high and is a 2-slot solution with 1x HDMI 2.0b, and 3x DisplayPort 1.4 connectors. Like a number of other AIBs, (all that I have seen so far) Palit seems to have reused its GTX 1660 Ti designs and substituted the TU116 chip with one having 2x SMs disabled onto the PCB, alongside 6GB of GDDR5 memory. At the time of writing its product pages are only part uploaded, some thumbnail pictures and details are missing but you can click through from this page when the web editors have finished. You will find that Palit has both StormX and Dual versions of its GTX 1660 with regular and OC editions available (making 4 distinct cards). Still haven't seen hide nor hair of the TUF-branded 1660Ti models… are they coming to the UK ? ?